My daughter (4 years old) is really showing interest in letters, especially those that make up her name. 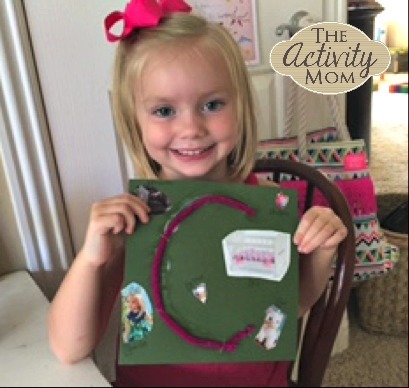 So today we worked on making a letter collage using the first letter in her name – C! 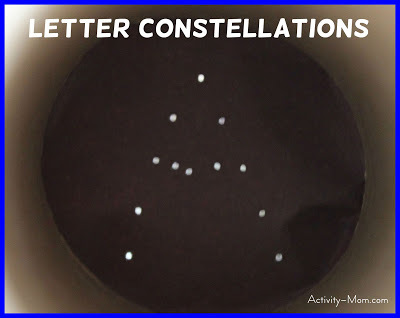 I drew the letter in marker on a piece of colored cardstock, and then had her trace the curves that make up the letter “C.” We talked about starting her “C” from the top, and curving down to the bottom of the letter. 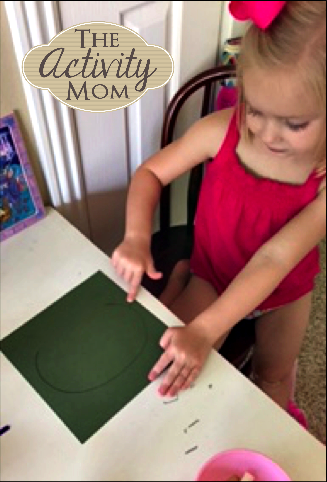 Then she traced it using white glue. Yes, this is a little messy, but it’s good practice to try to follow the curves/lines in letters. Squeezing the glue bottle is great for building finger and hand muscles that are needed before even picking up a pencil. 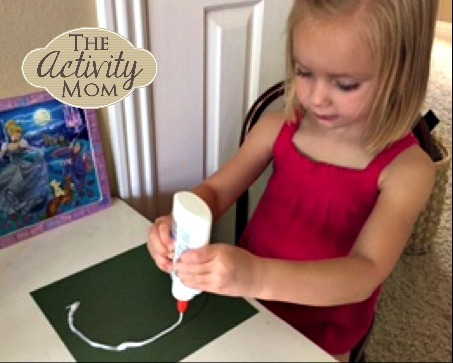 If the accuracy of using a glue bottle is frustrating for your child, try dipping a paint brush in glue and spreading it on the letter (from top to bottom). That technique is also very beneficial! We used magazines that appealed to her interests.We used the American Girl catalog and found “crib, Camille doll, cat, etc. 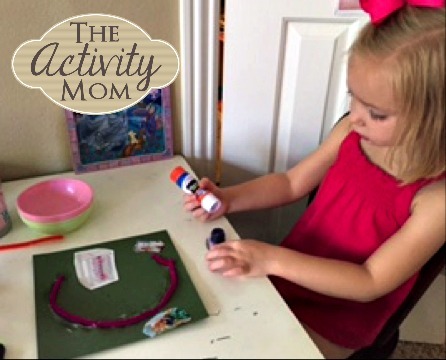 cut them out, and glued those items to her letter collage using a glue stick. I wrote the words underneath each picture so she could see they all begin with the letter “C.” It’s been on the fridge ever since! She is so proud and can’t wait to move on to the next letter in her name! 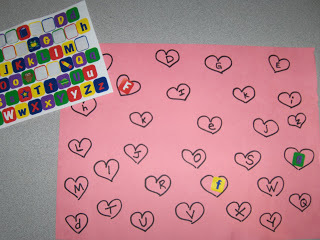 Check out the other ways we practice spelling our name!